Selling your house on the Rightmove web site is certainly a great way to be seen and find many more potential purchasers. But how do you get on there? Most good estate agents are experts in selling properties and will know that a web prescence is essential for capturing the market of people moving into the area. 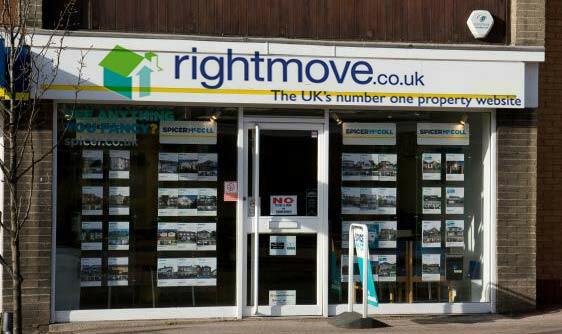 So the next question follows: how do you choose a reliable Estate agent in the UK market with a good Rightmove presence? ultimately achieve a better price for your property. Before you commit yourself to one agent, take narrow down your estate agent list to approximately three finalists who you want to invite to do a valuation. Make sure you ask them how they will invest in marketing on behalf of the vendor and should, at the very least, take photos of your property. Also ask how long it takes to go live on Rightmove as it could take up to a week and yet shouldn’t take longer than a day or two after approval. You may want to speak to your chosen agents about the Rightmove enhanced advertising options, Showcase and Premium Display to help sell your home even faster. You may need to negotiate with each agent to get the best commission rate though the lowest rate doesn’t always mean the best service. Check out the estate agents profile describing their business. Does your estate agent belong to Ombudsman for Estate Agents or the National Association of Estate Agents. Royal Institution of Chartered Surveyors is also acceptable. All the same, you need to view properties in the flesh, a virtual video tour or online description is not going to give you a true impression. This is where Estate Agents can bring some value. Don’t forget if the estate agents don’t impress you, it’s unlikely they’ll impress your Right move.co.uk visitors. While you do need to sell your house with an estate agent to advertise on Rightmove, there are alternatives to traditional high street estate agents. Online estate agents have been steadily growing in popularity in recent years and offer a cheaper option. If you want a cheaper service online agents are the way to go but we offer a little more… Property Parrot is a local agent in Leeds, offering all the advertising you need on Rightmove etc but also the services national online agents can’t – accompanied viewings, FREE valuations, and a face to face local personal service. Sell or let in Leeds with Property Parrot – Local Low Fee Estate Agents. Although we offer listings on other portal sites Rightmove does provide us with the most enquiries, however I have to say zoopla was doing well but has been overtaken by DPG. We list your property on ALL the portals for a fixed fee. Est 2001. Very helpful blog to anyone looking to move out there. Some good information in this blog. 5* Customer service. Very helpful company.